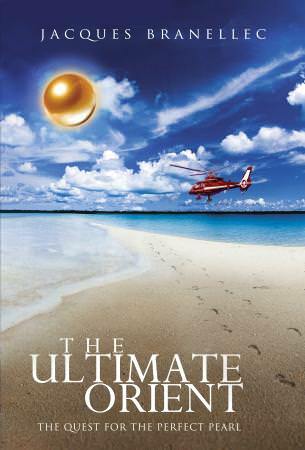 One of the most fascinating autobiographies of the year, Jacques Branellec’s The Ultimate Orient – The Quest for the Perfect Pearl is a story unlike any other, filled with extraordinary adventures inextraordinary places that few can ever even dream about. The often overcast skies of a small port in the Brittany region of northwest France quickly gave way to the call of the open seas. The compelling narrative of Jacques Branellec, from navigator to commercial pilot to environmentalist pearl farmer to community leader, chronicles the trials and errors and often death defying challenges— both from nature and man—that he experienced during his many travels around the world. The book is also filled with love and laughter, friendship and family, philosophy and wisdom. 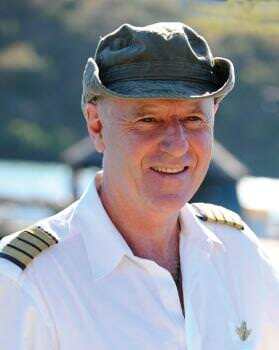 The first steps of Branellec’s daring adventures took him initially to North America, then to the lost atolls of Tahiti, where this professional pilot constructed airstrips against all odds, thus opening the islands to the world. It was also in Tahiti where he established his first cultured pearl farm, succeeding in a domain that had previously been reserved for the Japanese. Today, the black pearls that he developed are Polynesia’s primary export. After Tahiti, this adventurer sailed around the world, continuing his quest for the perfect pearl in the waters of the Caribbean, Panama, the Galapagos, the Marquesas Islands, Tonga, Fiji, the New Hybrides, Australia, and New Guinea. Finally, he landed on Palawan, one of the most remote islands in the Philippines. There, he discovered the Badjaos, who have transferred the secrets of diving to depths as great as 80 meters from one generation to the next. With the help of these “gypsies of the sea,” Branellec collected giant oysters—whose size can attain an incredible 26 centimetres in diameter— that he used to produce the largest pearls in the world. He formed a partnership with respected Filipino businessman, Manuel Cojuangco, and together they created Jewelmer, now known for its exquisite golden pearls. Over the course of his many dives, Branellec brought to light the wreck of a 15th century Chinese junk, and describes the trials and tribulations of its exploration. The wreck finally revealed a fabulous treasure of nearly 5,000 pieces of inestimable archaeological value. Concerned about the eventual extinction of the archipelago’s natural oyster beds, Branellec and the team at Jewelmer spent years researching and mastering the reproduction of the prized mollusks in hatcheries. The resulting highly valued jewels from the South Seas soon became the pride of the Philippines and the nation’s national symbol. Today, Jewelmer is the largest pearl producer on the planet, and its Jewelmer Joaillerie division produces a line of spectacular golden pearl jewellery. Realizing his quest for the perfect pearl, Branellec then turned his attention to the environment and how people can make a difference not only in helping protect the natural world, but also in improving the lives of the island’s inhabitants. In 2006, Jewelmer created a special organization called Save Palawan Seas Foundation (SPSF), whose programs over the last few years have provided workable alternatives for coastal communities. These include effective conservation and management strategies to facilitate the long-term sustainable use of marine resources of the province of Palawan. With expressive detail, Jacques Branellec shares with the reader his more than four-decade physical and spiritual journey from the occident to the orient, where he finally discovers the Ultimate Orient.